Repeated threats of high counter-tariffs on Indian goods by US President Donald Trump may derail the initial progress made in crafting a mutually acceptable trade package between the countries, government officials say. The package has been in the works for the past one year and trade officials have met as many as five times to hammer out a deal that provides an amicable solution to grouses from both sides. India is considering the dismantling of its current price cap regime for coronary stents with a trade margin policy, while it may also allow lower duties on import of certain information and communication technologies products such as high-end mobile phone and smartwatches from the US. “But repeated threats by Trump to put a ‘reciprocal tax’ on Indian exports to the US, that have also been mentioned by trade delegations from Washington DC, are putting a spanner in the works,” a senior Commerce Department official said. Trump on Saturday again accused India of being a “high tariff nation”, referring to duties placed on Harley Davidson motorcycles. “While the US would fall foul of the World Trade Organization norms if it imposes a ‘reciprocal tax’ against India, the repeated threats undo all the discussions so far. We would have to protect our exporters,” the official added. Also, since some of the proposals have met with significant opposition from domestic industry, any possibility of reciprocal taxes on India would stop the talks, another official added. The talks had started after India protested Washington DC’s decision to not exempt it from the high duties imposed by the US on certain steel and aluminium products. Later, demands for greater market access for Indian products from sectors like agriculture, automobile, auto components and engineering were incorporated into the dialogue. But over the past three months, India’s position in the Generalised System of Preferences (GSP), an American trade scheme, has dominated the meetings, sources said. The scheme is the largest and oldest US trade preference programme designed to promote economic development by allowing duty-free entry for thousands of products, from mostly developing nations. India is the largest beneficiary nation under the GSP, having exported goods worth $5.6 billion to the US in 2017-18. The current US administration has threatened to slash the scheme and end India’s position as a GSP-eligible nation. The US, on the other hand, has continued to demand greater market access through cut in import duties for its agriculture goods, dairy products, medical devices, IT and communication items. 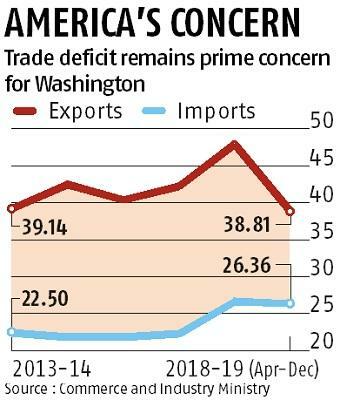 In the meantime, New Delhi has deferred the imposition of higher duties on 29 key imports from the US, an unprecedented six times since last year. Originally set to go live from June 28, 2018, the tariffs have been repeatedly postponed by the government and are now expected to take hold from April 1 as opposed to March 2. New Delhi had announced higher tax by up to 50 per cent on import of mostly agri goods like apples, almonds, walnuts and some industrial products. The new taxes are proposed to rake in an estimated $240 million worth of additional taxes. Spread across sectors from which imports stood at $1.5 billion in 2017-18, New Delhi claimed the amount was equal to the estimated loss faced by India after the Trump Administration imposed a 25 per cent extra levy on steel and 10 per cent on aluminium products from many countries, including India in May, 2018. 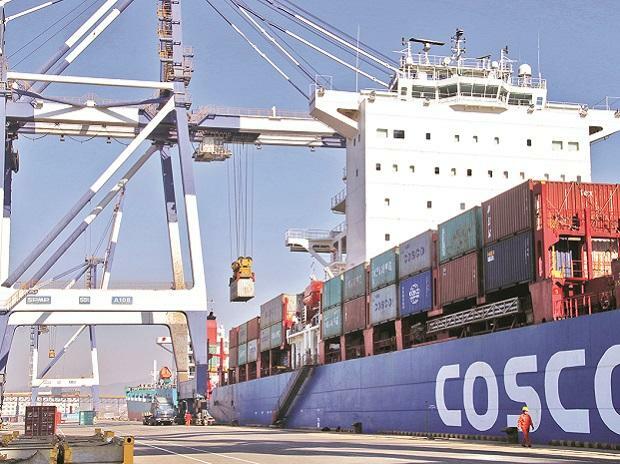 The final touches to the trade package are yet to be given as the latest India-US Commercial Dialogue had seen a rare instance whereby both sides failed to come out with a joint statement.